Heavy Gear Blitz Peace River & NuCoal Kickstarter Update! We are now into day 3 of the Peace River & NuCoal Core Plastic Miniatures Kickstarter with just over $22.5K CAD Pledged (90%) of our initial $25K CAD goal. Thank you to all our Backers so far, the Kickstarter is off to a great start. Read more about Heavy Gear Blitz Peace River & NuCoal Kickstarter Update! HGB Peace River & NuCoal Kickstarter Jerboa Model Preview! Our 3d modeler finished up the NuCoal Jerboa model in Solidworks this weekend. Today's quick update has images of the Jeboa in both walker and ground modes for everyone to checkout. The Kickstarter video is now being worked on and it will be ready for our planned Kickstarter launch this Wednesday Evening April 25th, 2018. Read more about HGB Peace River & NuCoal Kickstarter Jerboa Model Preview! HGB Utopia Kickstarter Update: DP9 Pledge Manager is Live and Invite Emails are been sent to the Backers! Read more about HGB Utopia Kickstarter Update: DP9 Pledge Manager is Live and Invite Emails are been sent to the Backers! Dream Pod 9 wishes Everyone a Happy Valentines Day! 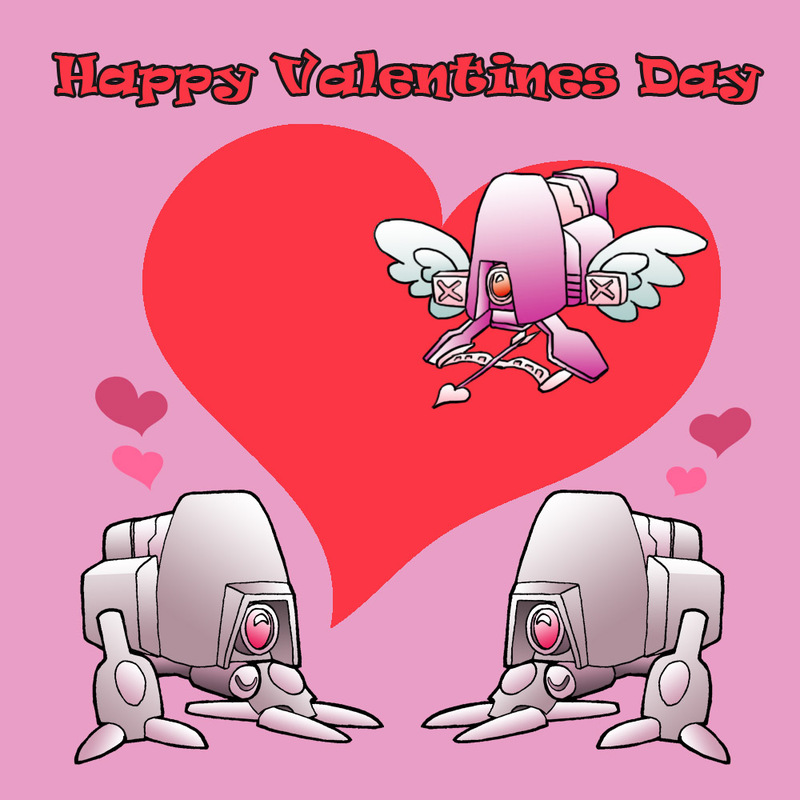 Read more about Dream Pod 9 wishes Everyone a Happy Valentines Day! HGB Utopia KIckstarter: Updated MAR-DK 3d Model with More Torso Details and New Ground Mode Option! Read more about HGB Utopia KIckstarter: Updated MAR-DK 3d Model with More Torso Details and New Ground Mode Option!